Dr. Pepper never tasted so good. Use a sticky sweet marinade and create a perfect grilled chicken dinner. Even though it’s winter, there is still some grilling that can be done. If you like to brave the cold weather, you can grill outdoors or use an indoor grill pan for this dish. 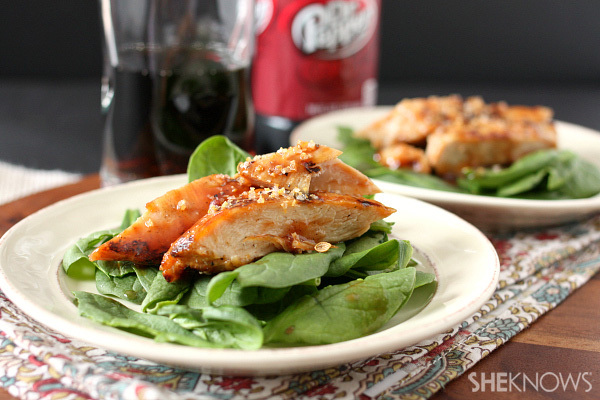 We marinated chicken breast in a delicious mix of Dr. Pepper, spices and hot sauce. This is the perfect wintertime grilling recipe. In a bowl whisk together Dr. Pepper, soy sauce, lime juice, lime zest, olive oil, garlic and Frank’s RedHot. Pour into a large zip-closed bag, add onion and chicken. Securely close the top, shake gently and let marinate overnight. Heat your grill to medium heat and grill chicken until fully cooked.